If you have a home that you don’t occupy the majority of the year, there’s no better way to earn extra income than by renting it out. In a competitive market, however, ensuring your home is ready to show and is in great condition will attract the best tenants. With that, heed the following preparation tips for renting out your home and secure your investment with a MI High Value Home Insurance policy. While it may be your property, you want your tenants to feel as though they are at home during their stay. Remove photographs of family and declutter the space. 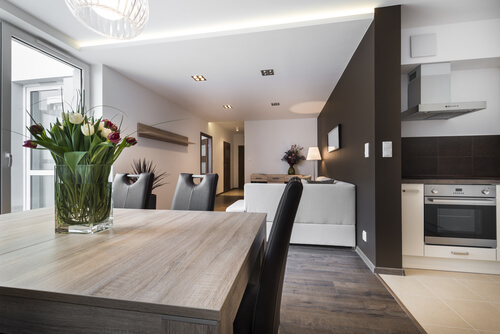 Keep the decoration neutral to allow the potential tenants to envision themselves in the home. Further, this will allow them to put their own personal touch on the place. Being a luxury home, it’s no doubt that the home is equipped with the finest furnishings and appliances. However, be sure the space is functional and the furniture reflects a comfortable style that tenants will want to stay in. Or, if you aren’t providing furniture, hire a stager to decorate the home in a way that allows tenants to view how they could use the space. Don’t forget to highlight the focal points of the home and show off its best luxury features! According to Green Residential, you want the property to feel large, open, and inviting. Begin by cracking open the blinds and turning on every light in the house. The natural light will help to brighten up dark spaces and to make the home feel inviting. Lighting a scented candle and playing some soft music in the background can also make the house feel more like a home, as well.